You can think of choosing a franchise like choosing a home to live in. You can buy an existing house, something that you and your family can be comfortable in. Or you can build your own home and design it to perfectly suit your lifestyle now and in the future. Unlike most franchise operations, with VIP you can choose an established business or VIP will help you build your own. VIP is so much more flexible than other, more ordinary franchises and a franchise itself is undoubtedly the best way to start a small business. Most first time small businesses fail but most first time franchises succeed. 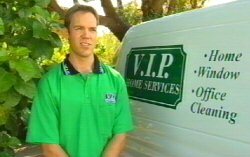 A franchise is the best way to be your own boss but keep the support and protection of being part of a larger organisation and when that organisation is a household name like VIP – with a reputation earned over 32 years – it’s a great head start. As in any franchise, you’d be fully trained in how to run every aspect of your new business, trained by people who’ve already solved the problems you’re going to come up against. You’ll benefit from ongoing support – marketing, advertising, further training – it’s like hiring a team of experts, something no ordinary small business could afford to do. They’re just some of the advantages of franchising - but what you need to work out is why a particular franchise would be best for you. Do you want to be master of your own destiny? To revel in that fantastic feeling of knowing that the more you work, the more money goes into your pocket – not someone else’s? Or it may be your motivation to get out of the commuting nightmare and get home earlier to your family to choose what hours you work so you can have more time with your loved ones? Spending more time with your family can also mean working together. Husband and wife franchises have proven particularly successful. Or a couple of mates can team up to forge a successful partnership. Choosing a VIP franchise is a choice for a better lifestyle for yourself and your family. It means taking charge of your own life, deciding what’s best for you and giving priority to what’s important to you. There are many reasons why a franchise is the best way to start your own business – and many more reasons why VIP is the best franchise for you.